She was the daughter of Major General Count Frédéric-Henri Walther. She married Jean André, was the mother of Alfred André, and one of the prominent figures in French high society. House of the deaconesses, Reuilly street, Paris © S.H.P.F. Henriette Walther was born to be a society lady, backed up by her marriage. In 1848, when her husband was Treasurer-General in Tours, she made the Treasury Hall renowned, with Balzac, Mérimée and even Chateaubriand paying frequent visits. But what really characterised her was her great piety, reflecting the Revival ideas she had adopted. Abroad she visited institutions and people who could give her ideas, notably the Maison des Diaconesses (a deaconess community) near Düsseldorf. She went to Scotland to attend evangelism meetings. Both morally and financially she supported the Société des Missions Evangéliques de Paris (Paris Evangelical Mission Society) and the Association des Diaconesses de Reuilly (The Association of Deaconesses of Reuilly). She was very active in religious Societies whose roots were in the Revival movement. She even turned her huge estate, « les Ombrages », into a meeting place for Protestants of an evangelical persuasion, and into a « Portico of Bethesda » by establishing an infirmary, and then an orphanage for boys. 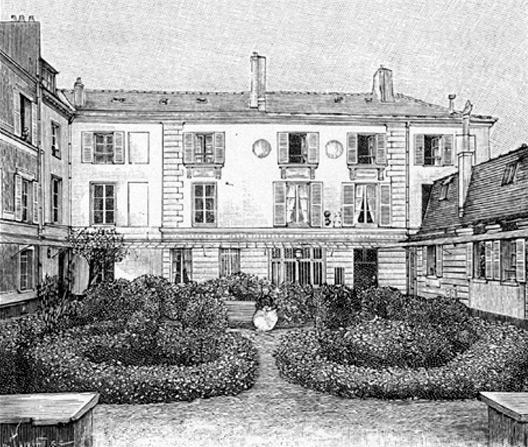 During the Commune of Paris in 1871, the house, which had been requisitioned by the Prussian crown prince, became a reception centre for a wide variety of refugees. Henriette was concerned about the working class (the big question of working practices had arisen), and she was convinced of the need for social reform. She had altered her way of living by doing away with all unnecessary expenditure. Until she died she remained one of the best known « charitable ladies » in French Protestantism.